California burrito. 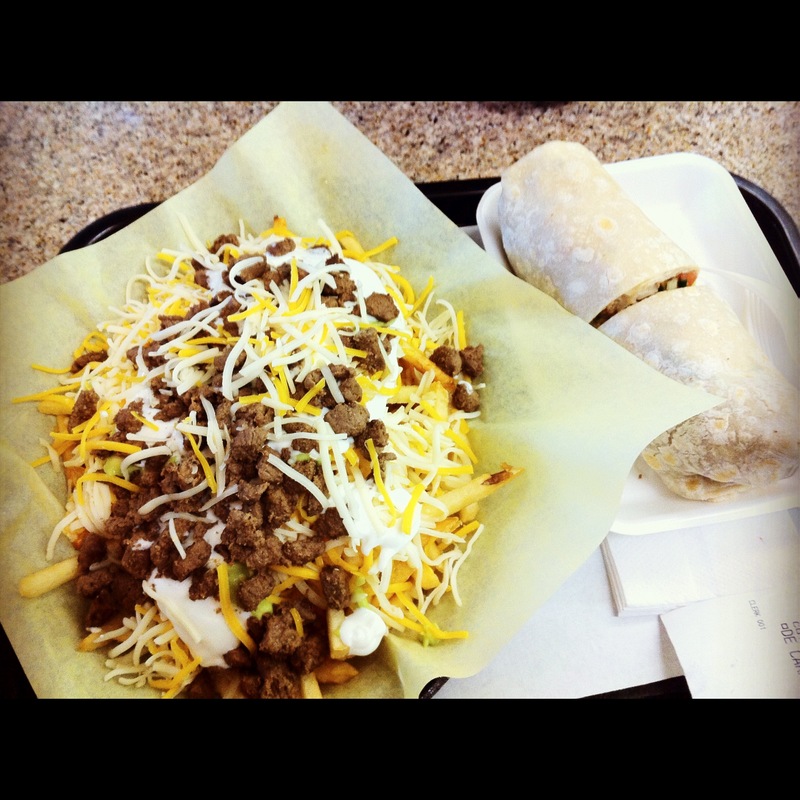 Carne asada fries. Bacon-wrapped anything. Honestly, why must this trio of coma-inducing, artery-clogging scrumptiousness be so irresistible? “Please sir, I want some more.” Oliver definitely wouldn’t have been the only kid in the orphanage to say that if “more” meant an extra serving of carne asada fries. Unless you have the self-control of a ninja, it’s close to impossible to just have one bite of insert your favorite fatty food here. Is it the food that keeps you commin’ back for more? Or is it you? According to The Journal of Clinical Investigation, your fav fatty foods may be messin with your mind. The new study shows that “high-fat foods cause damage to the hypothalamus – an area in the brain responsible for hunger, thirst and the body’s natural rhythms and cycles – in rodents” (CNN). Though this hypothesis has not yet been proven in humans, it may help us better understand the science between diets, exercise, and willpower and improve obesity treatment. Dr. Michael Schwartz, the study’s lead author, explains, “The human body is designed to regulate how much fuel is stored as fat through a process called energy homeostasis. For a normal-weight person, that’s good. But once a person becomes obese, his or her body seems to want to stay at that new weight permanently” (CNN). Consuming lots of fatty foods builds your tolerance for fat consumption. Your body becomes accustomed to a certain level of fat and your brain is telling you more, more, more! Therefore, it becomes harder to lose weight. So, get off the train before the weight gain! It’s important to establish healthy eating habits early on. Here are some recipes for healthy, low-fat meals. Bon appetit!